Today we introduce wife and husband team, Monica Russo, author and Kevin Byron, photographer, and their book TREECOLOGY: 30 ACTIVITIES AND OBSERVATIONS FOR EXPLORING THE WORLD OF TREES AND FORESTS (Chicago Review Press 2016). Be sure to enter to win a copy! 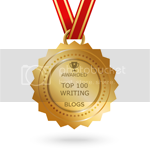 Tell us about your background and how you came to write for children/ photography. Monica: As a child, I always had to peer very closely at bugs, flowers, and leaves because I needed glasses. I think that most children pay close attention to natural shapes, colors, patterns and textures. As an adult, I gave nature walks to school children at a nature center and their enthusiasm for being outdoors was clear. Kevin: I've been interested in photography since I was 10 years old, and acquired my first serious camera in 1971. Two years later, I started shooting for newspapers and magazines. My first good bird photo was in 1971. It was a picture on a Barn Swallow in flight taken in the Philippine Islands. In the late 1970s I provided images of nature subjects to a New York stock photo agency. I met Monica in 1977, and since then we have collaborated on books, magazine and newspaper articles. 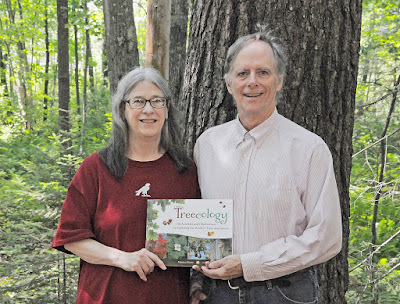 Congratulations on your book, TREECOLOGY. What inspired this? Monica: It's easy to walk right up to a tree, to look closely at its bark and to study the shape of leaves that are found on the ground, and of course it's always exciting to see how trees change color in the fall. Even if you live in a big city, you'll be able to get close to trees in a park to study them. You have written a number of books about nature and science for kids. 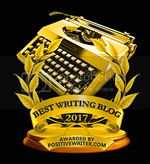 What is your research process for writing these books? Monica: The most important thing is direct observation. Whether it's birds, bugs, or botany you need to have the experience of personal, first-hand field observation and data collection. It's also very important to have historical references that may date back to the 1800s (or earlier) in North America. It is also necessary to establish contact with professional entomologists, ornithologists and dendrologists. Kevin: We maintain and update a large library of natural history books, field guides and other science and nature reference works at our home in Maine. Monica: I'm taking a rest from writing, but continue to work on observations of winter birds, and will be writing a couple of articles about insects for a regional newsletter. Kevin: No books at the moment. I am still pursuing bird and nature photography. What advice would you give to aspiring authors/ nature photographers? Monica: Write what you know. Keep notebooks and sketchbooks of your ideas and observations. 1. The field is crowded and competitive. There are many good photographers. 2. The more you know about your subject, the better your shots are likely to be. 3. Vigorously edit your work for sharpness, clarity and composition. Monica: Despite a lifelong interest in nature on earth, I like to watch documentary films about the U. S. space program: The Gemini Project, the moon landings, and the Mars rovers: Spirit, Opportunity and Curiosity. Monica: I do not have email. I also do not have a cellphone, and I don't subscribe to any social media. 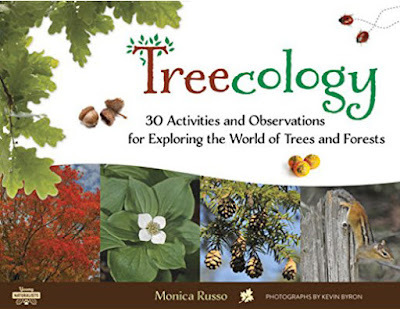 Monica Russo is the author and illustrator of several children’s nature books, including Birdology, Amazing Insects, Chilly Creatures, Tree Almanac and Watching Nature. She wrote the “Nature Notes” column for southern Maine’s Sun Chronicle for many years. She is an experienced birdwatcher, leaf collector and a founding member of the Maine Entomological Society. Kevin Byron is a photographer who specializes in nature, wildlife, and ship images. His work has appeared in many books, magazines, and newspapers, including Birdology, BirdScope magazine, the Kennebunk Post, the New York Times and Watching Nature. They both live in Kennebunk, Maine. Great book and photographs. Keep up the good work. This is a great idea for a book! My kids love to explore nature. I love the little ground squirrel on the cover! What a useful book! I love getting to know the flora and fauna around me. This book looks like a fun way of learning. I love books that encourage kids to get outdoors and explore. This looks tree-ific! Sounds like great stuff to share with my great nieces & great nephew.